Summertime is grill time. And that means friends and family flocking to backyards and beach parks. So why not add some activity into the mix? Better yet, keep those rubber slippers on and have fun with some lawn games. Thinking about tossing a horseshoe but no horse in sight? 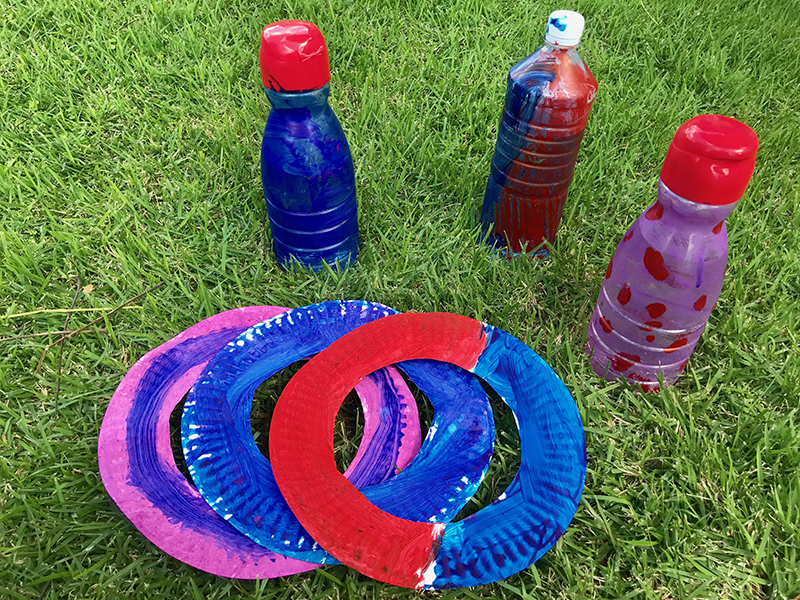 Here are some lawn games that can be made using items around the house. Get the family involved. It's an opportunity to get creative with your recycling. • Paint the bottles any colors you want or keep it classic triangle bowling formation with a red-and-white striped color scheme. • Arrange the bottles in a classic bowling formation or any way you want. • Reset the bottles for each player. • One point per bottle. Whoever has the most points after 10 rounds wins. • Cut three equally-sized holes in a straight line in the shoebox lid. 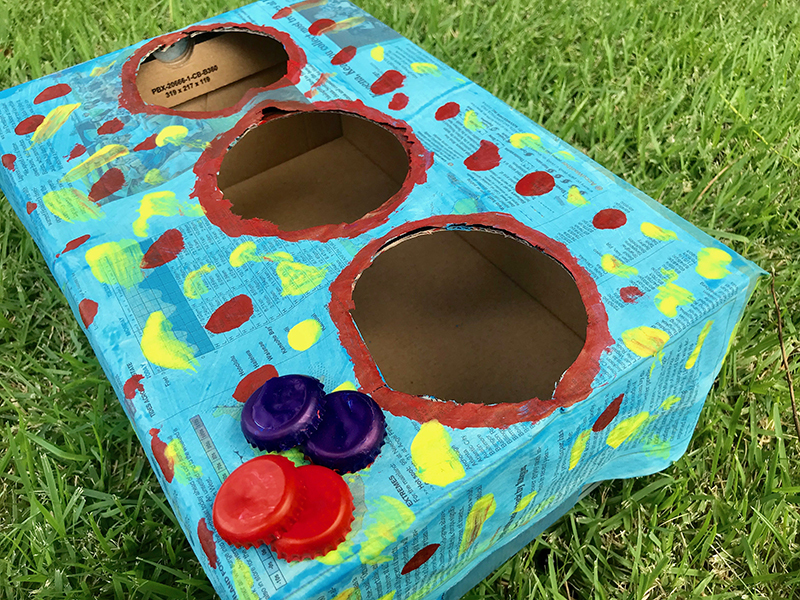 • Paint the outside of the shoebox and bottle caps. • Players stand a few feet away from the boxes and toss all three caps. • Tossing the bottle cap in the hole closest to you is worth 1 point, the middle hole is 3 points and the hole furthest from you is worth 5 points. • Whoever ends up with the most points after all the caps are tossed is the winner. • Use scissors to carefully cut out the center of each paper plate. The borders that remains will be the paper rings. Don't forget to decorate them with paint or markers. 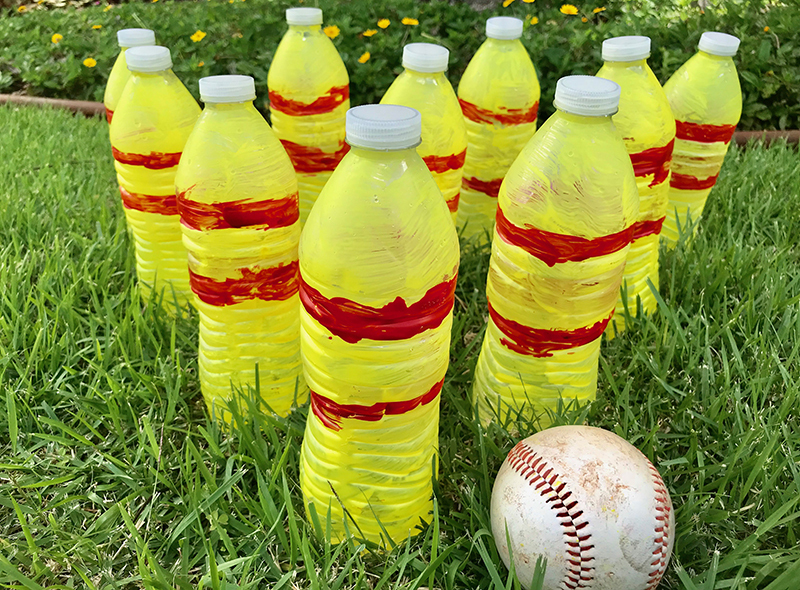 • Fill the bottles with water or sand to help weigh them down so they don't tip during the game. • Set the bottles up with even space between them. • Players stand a few feet away from the bottles and toss all three rings. • Add up the number of points for each ring that’s successfully tossed over the bottle. Whoever ends up with the most points after all the rings are tossed is the winner. Try all three games. See which one is your favorite. Your little ones will discover these lawn games are as much fun to make as they are to play.